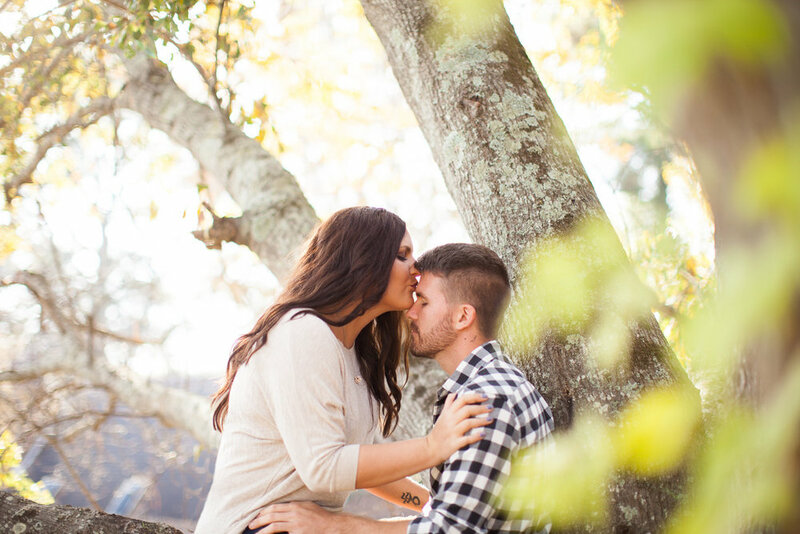 Y'all, I don't have the words to describe Alexis and Jamie's engagement session last fall! 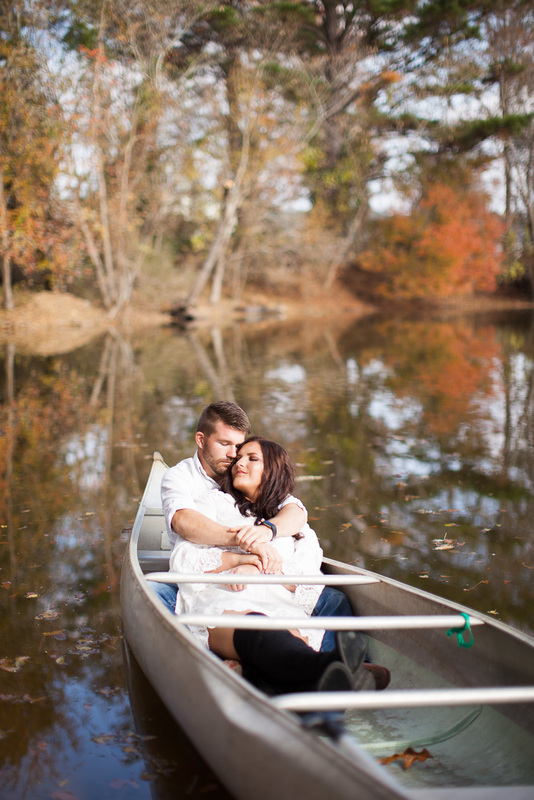 These two sweethearts live in the Canton area, and they drove up to Columbus on a beautiful November day to spend the afternoon creating some very beautiful and ADVENTUROUS memories with us! 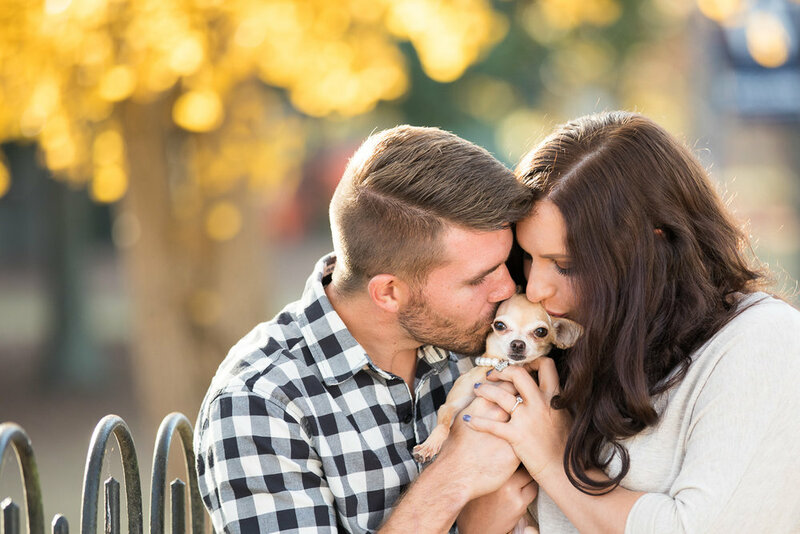 I LOVED all of Alexis' ideas for their session, so I was so excited to help her bring them to life! Leading up to their session, I was really pretty worried that our big pond wouldn't photograph well. I shouldn't have worried! I think the trees around our pond saved their best color just for these two. I think I may call it a lake after all! 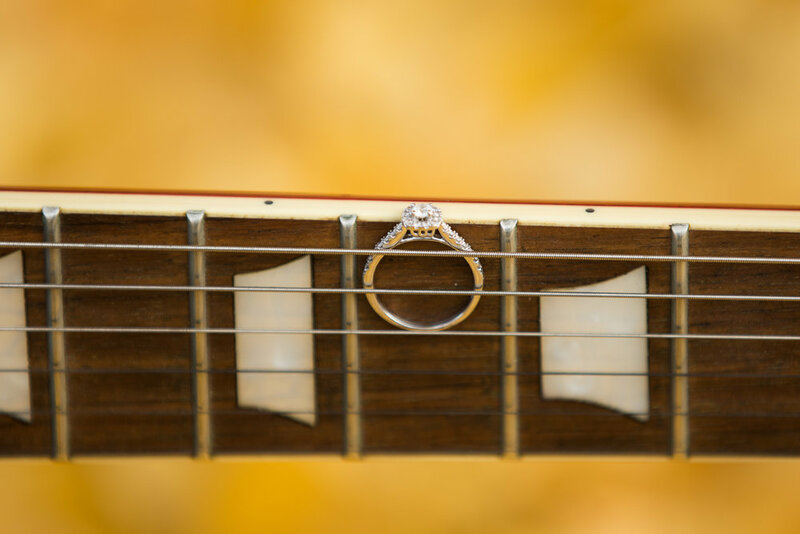 This ring and guitar portait was all Alexis' idea! I LOVE how it turned out! 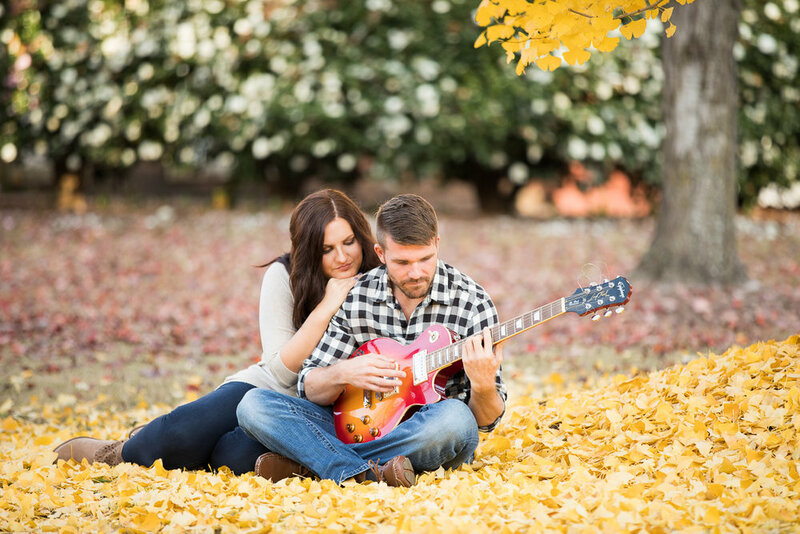 ... and a little guitar music under the the gorgeous golden leaves. 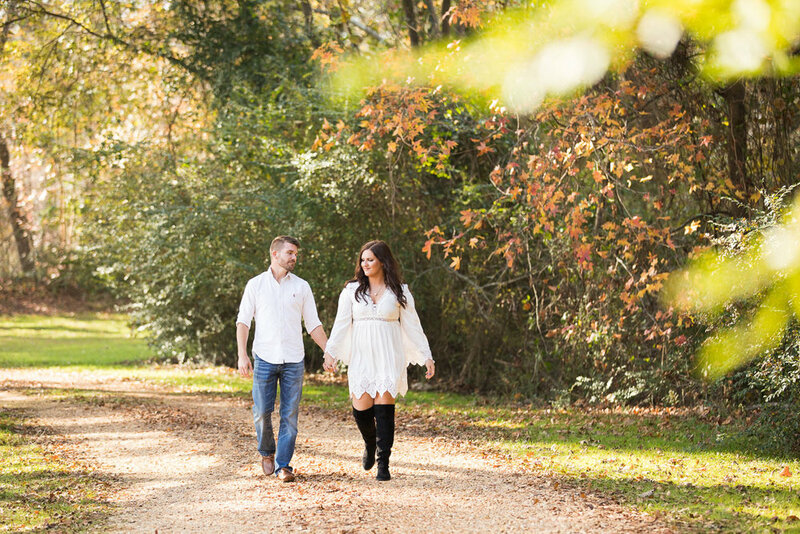 Our next step in their session was a real adventure for me and Jonathan! 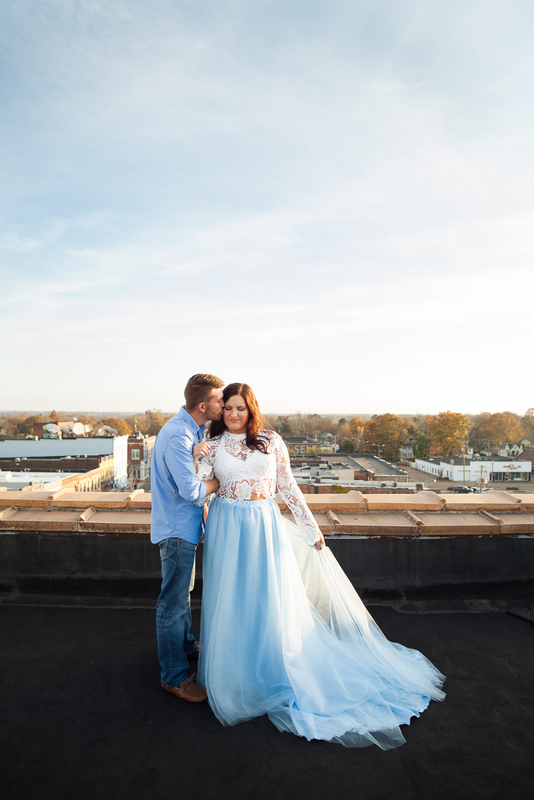 We had always wanted to, but NEVER done a rooftop engagement session before! Y'all, it's not easy to find just the right rooftop!! This was another one of Alexis' amazing ideas, and I really wanted to make it happen if I could. We finally figured out which building had the right sunset orientation, and I took my introverted heart in my shy hands and called the owner. He very generously allowed us up there for just a few minutes, and OH MY GOODNESS it was AMAZING up there! 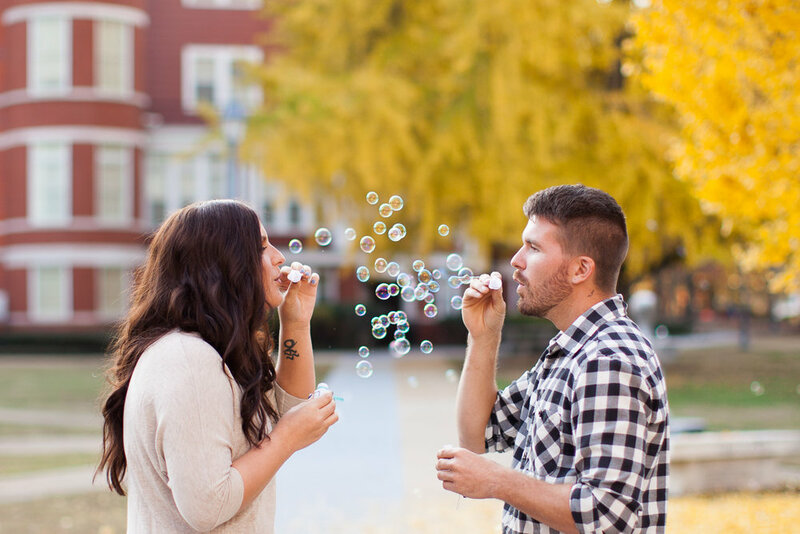 We had such an incredible time taking these rooftop engagement portraits! 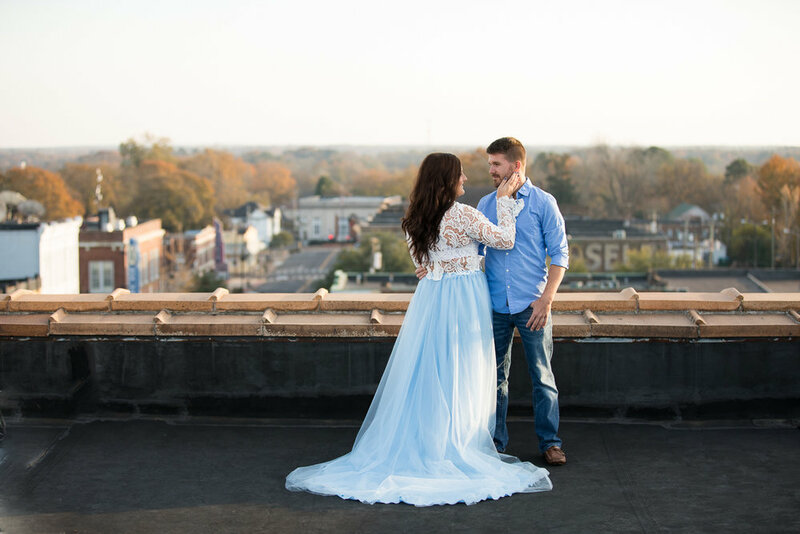 Alexis wore this amazing lace blouse and flowy skirt for their rooftop portraits, and it was EVERYTHING. I mean, just look at this happy beauty! Y'all, Columbus, Mississippi is gorgeous from on top of a downtown roof. I need my own rooftop! 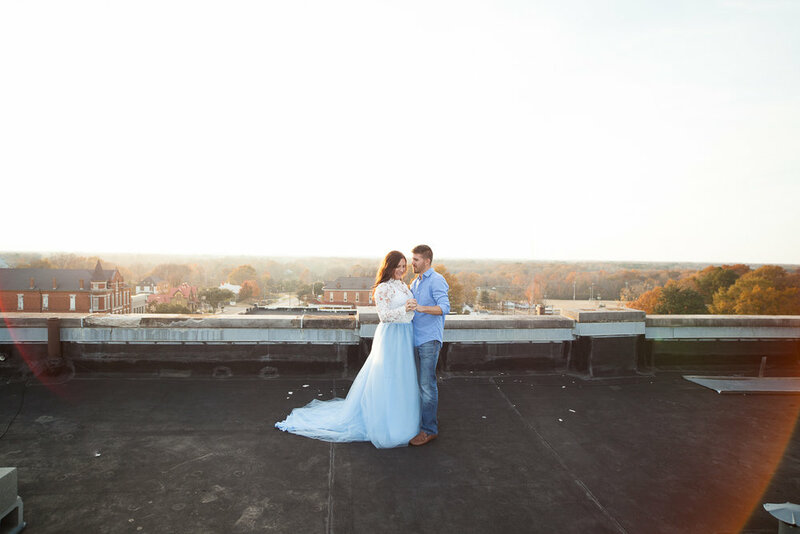 Now, we could have ended their session on that rooftop and gone home happy, but Alexis and Jamie had one more idea that I absolutely couldn't wait to bring to life. Almost one of the first things Alexis and I talked about, was how much she and Jamie LOVED old school hard rock! 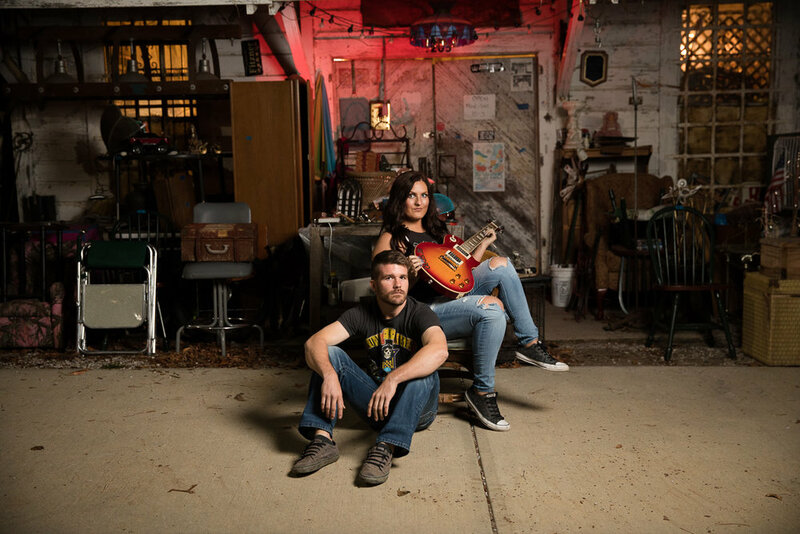 And Jamie is a musician too, so a few moody, gritty rock-inspired engagement portraits were the PERFECT way to end their adventurous engagement session. 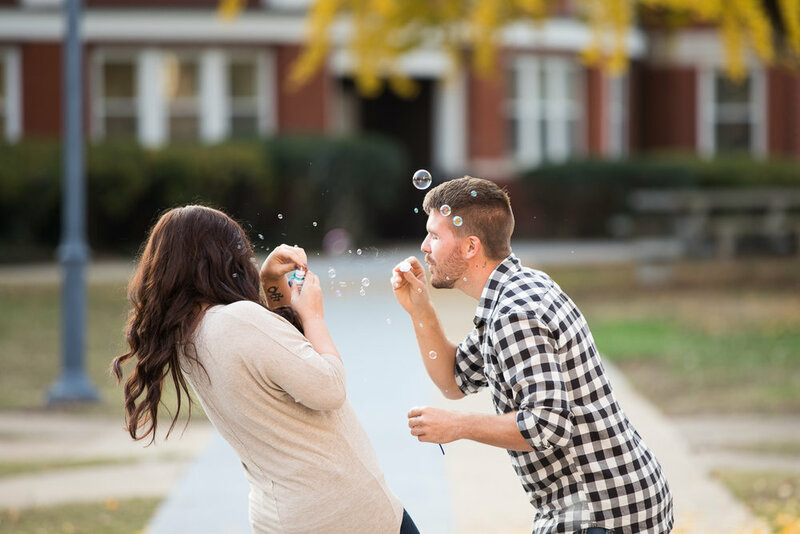 These are honestly some of my favorite engagement images EVER, because they capture Alexis and Jamie's personality so well. And they're so dramatic and moody and GRITTY, y'all! These images ignited a new passion in me to explore more dramatic, after-dark off camera flash portraits! 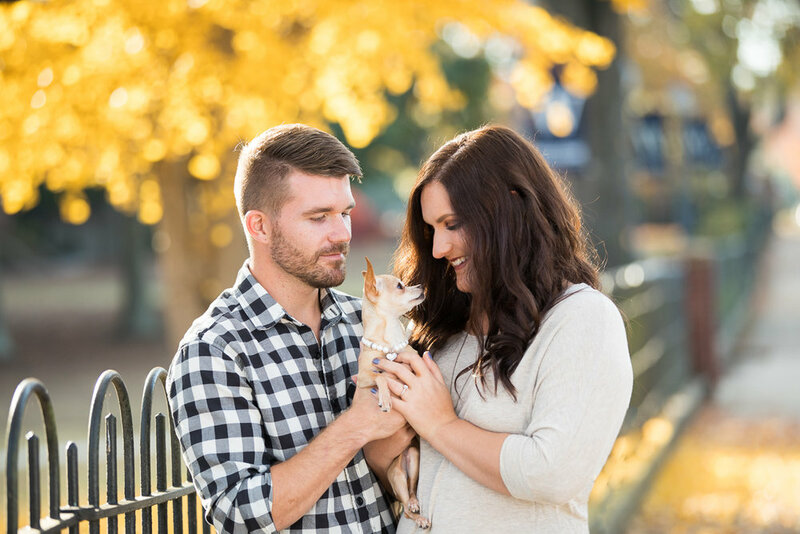 Alexis and Jamie's session inspired me to look at Columbus in a whole new way, and definitely stirred up my creativity to a new level! I love it when our clients present us with ideas that challenge us to think out of the box - or on top of the roof! 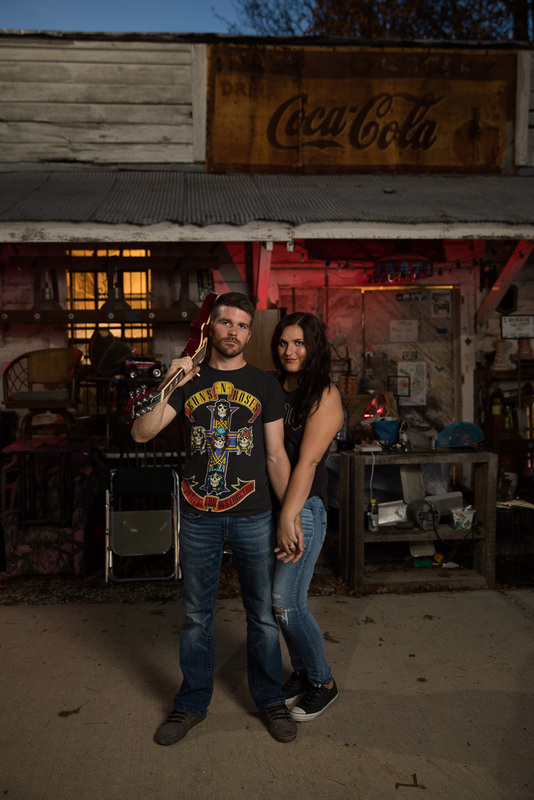 I know that this couple's wedding day this September is going to - you guessed it - ROCK! !